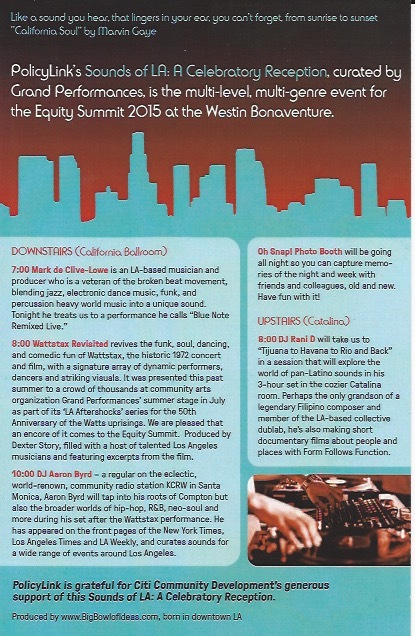 Dexter Story music-directs and conducts a reprise of Grand Performances’ Wattstax Revisited at Policy Link’s Equity Summit 2015 on Wednesday, October 28. 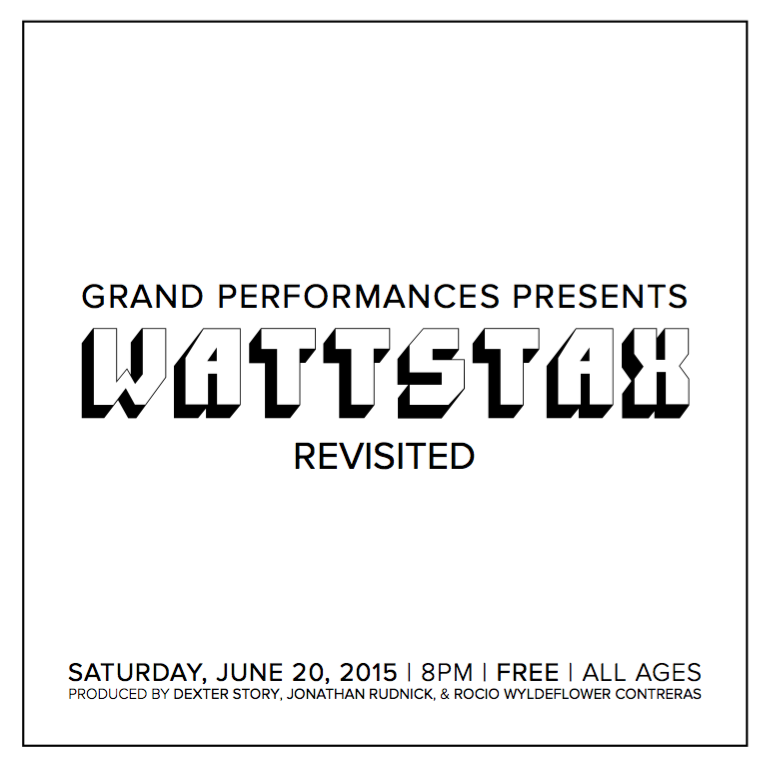 Grand Performances was the original presenter and also curated this second presentation at the Westin Bonaventure. 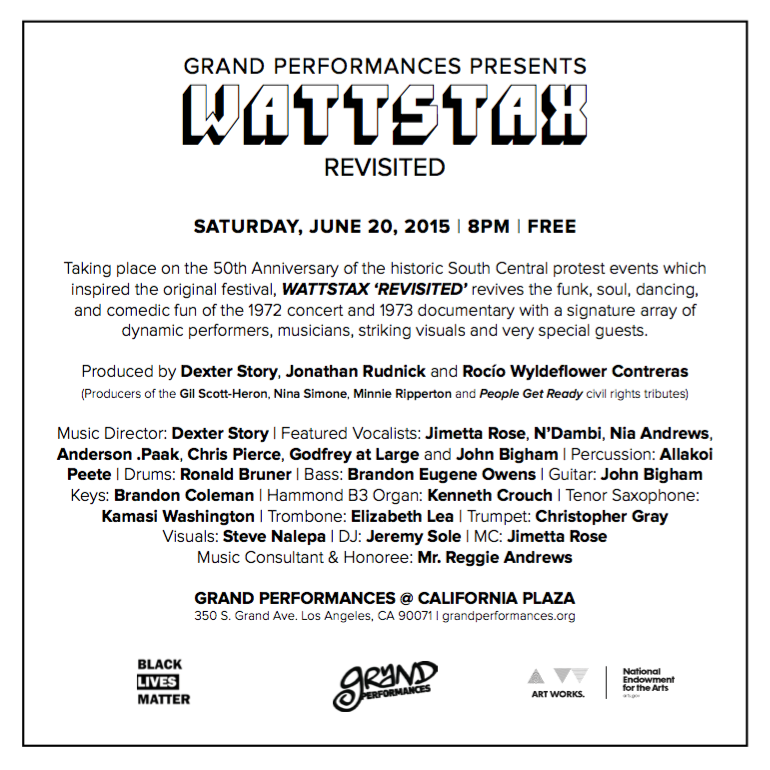 Wattstax Revisited is a tribute to the soul, artistry and social relevance of the 1972 Memorial Coliseum concert featuring Stax artists and its 1973 companion documentary directed by Mel Stuart. The original Wattstax concert was an extension of the Watts Summer Festival and commemorated the 1965 Watts Revolt. 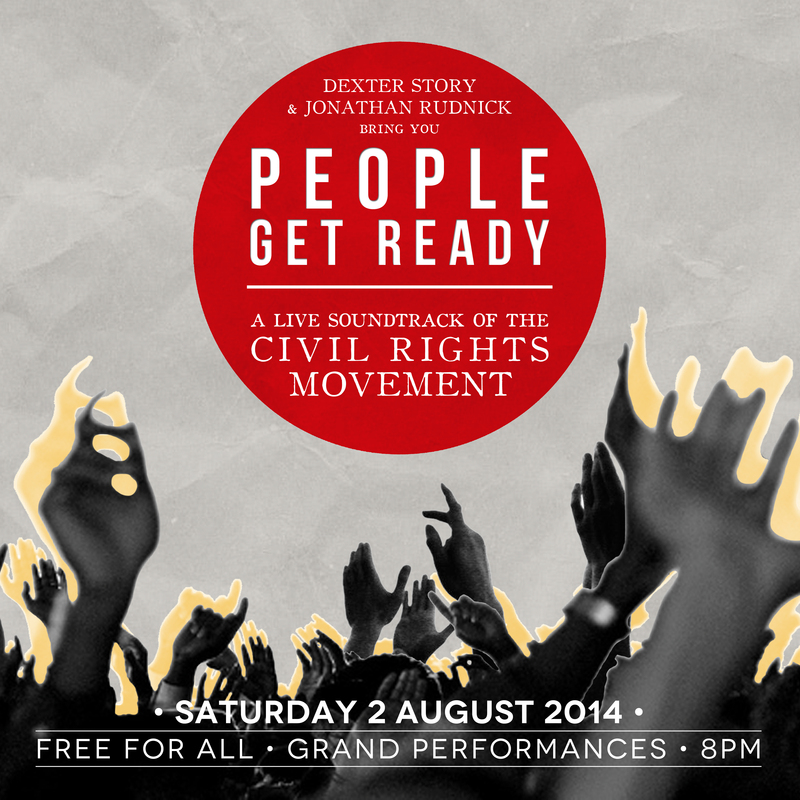 Consequently, this Summer’s event and its reprise take place on the 50th anniversary of the revolt. 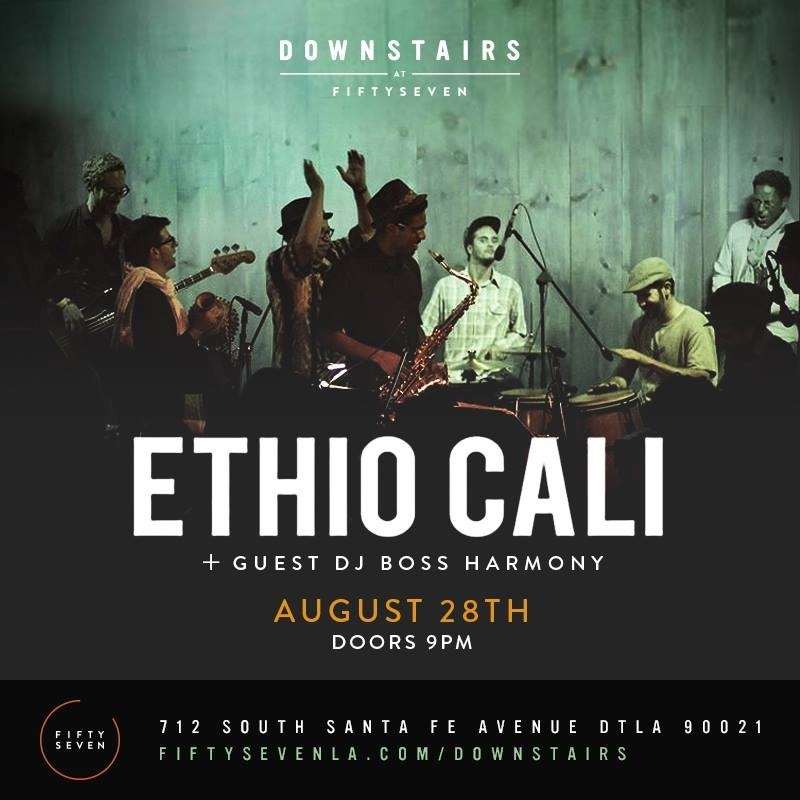 Playing multi-instruments and arranging with Ethio Cali Ensemble at Fifty Seven on Thursday, August 28. 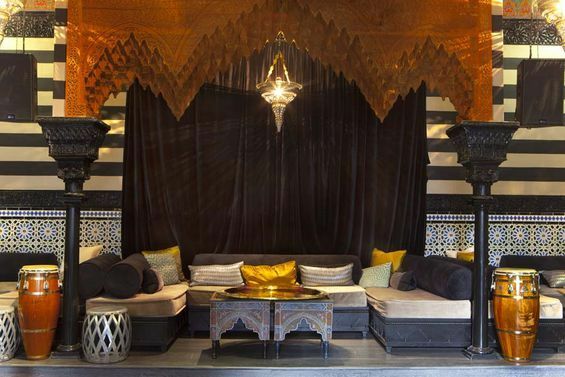 This night will feature covers from the all over the African continent. DJ Boss Harmony is on the ones and twos. 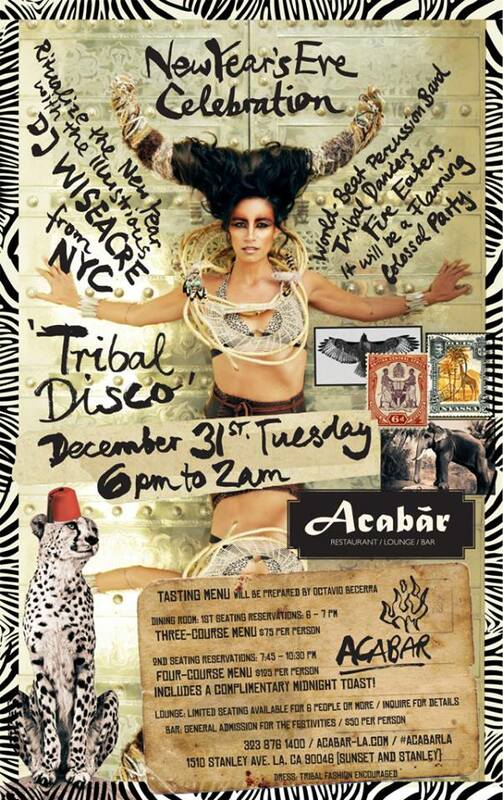 Playing with a percussion trio for Acabar’s New Year’s Eve Tribal Disco celebration on Tuesday, December 31 (featuring Marcus L. Miller and Te’Amir Yohannes Sweeney). Other entertainment highlights include fire eaters, tribal dancers and DJ Wiseacre. 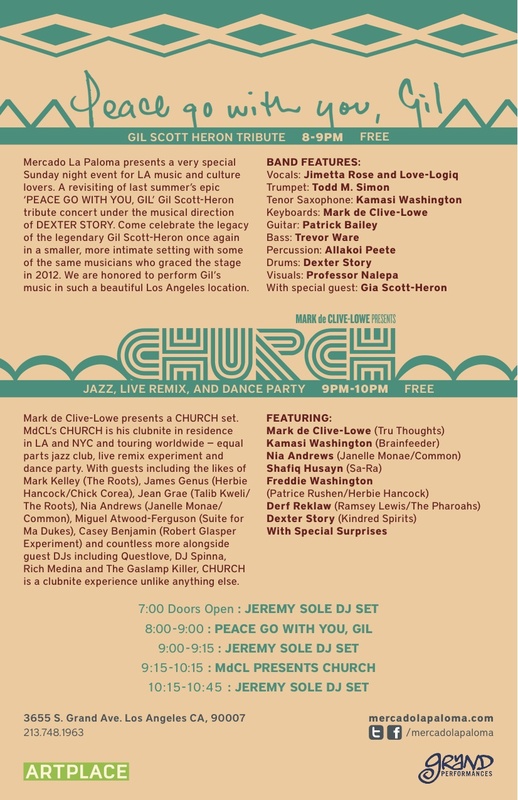 Music directing and playing drums for a mini version of last Summer’s Grand Performances event Peace Go With You, Gil on SUNDAY, FEBRUARY 24. 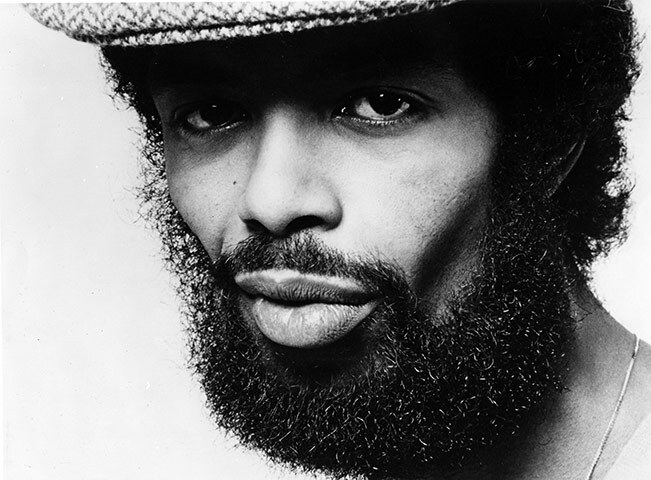 Come celebrate the legacy of the legendary Gil Scott-Heron once again in a smaller, more intimate setting with some of the same musicians who graced the stage in 2012. 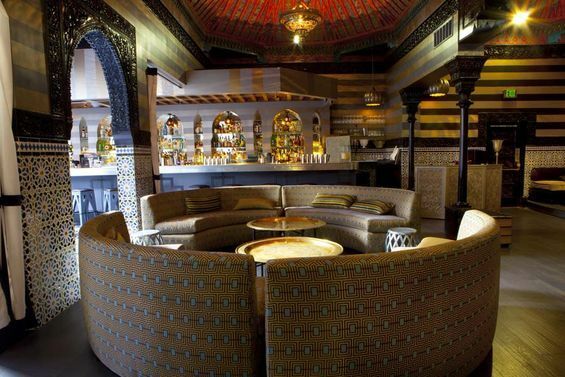 We are honored to perform Gil’s music in such a beautiful Los Angeles location. 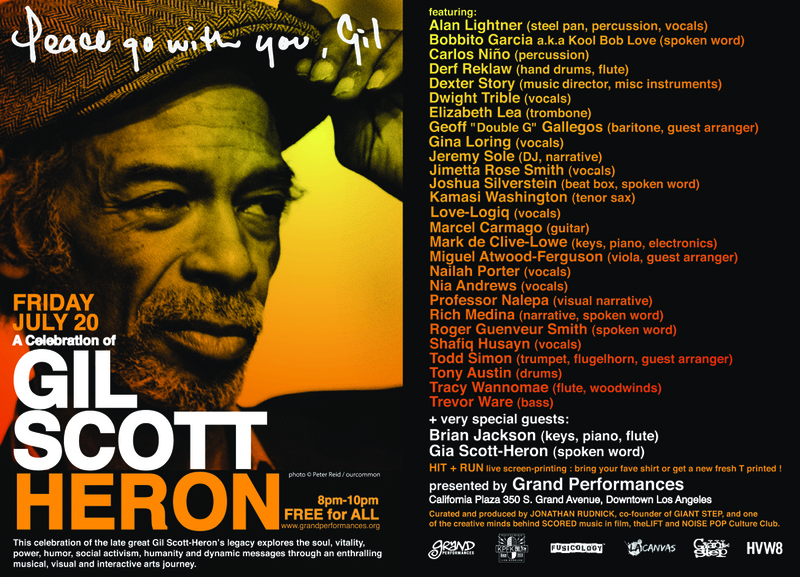 Music directing this celebration of Gil Scott-Heron’s legacy that explores the soul, vitality, power, humor, social activism, humanity, and dynamic messages of the late artist through his words, music, poetry, and an enthralling visual and interactive art journey. 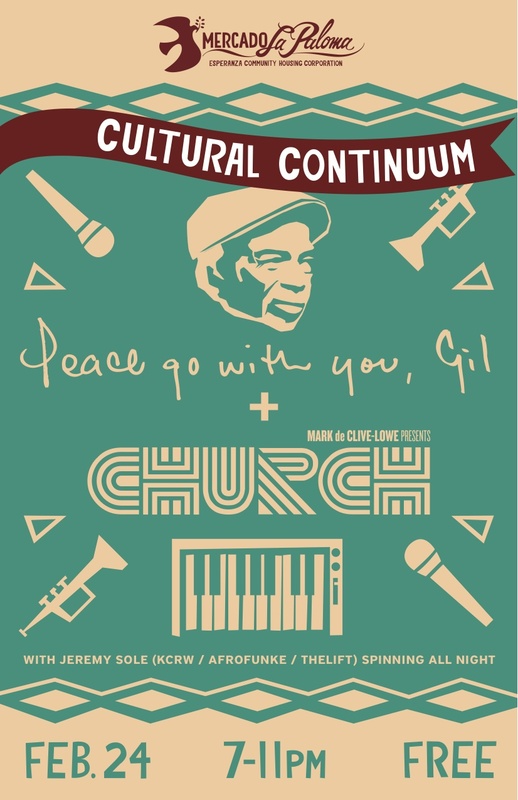 Performers include Gil’s long time collaborator and friend Brian Jackson; Rich Medina; Mark de Clive Lowe; and Miguel Atwood Ferguson, with special guests and surprises. 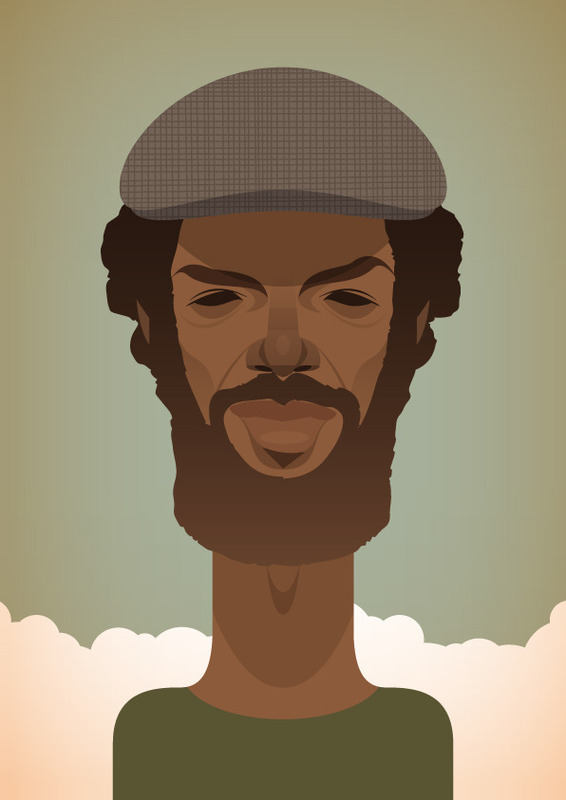 Produced by Jonathan Rudnick, co-founder of Giant Step, and creative mind behind projects like SCORED music in film and theLIFT. 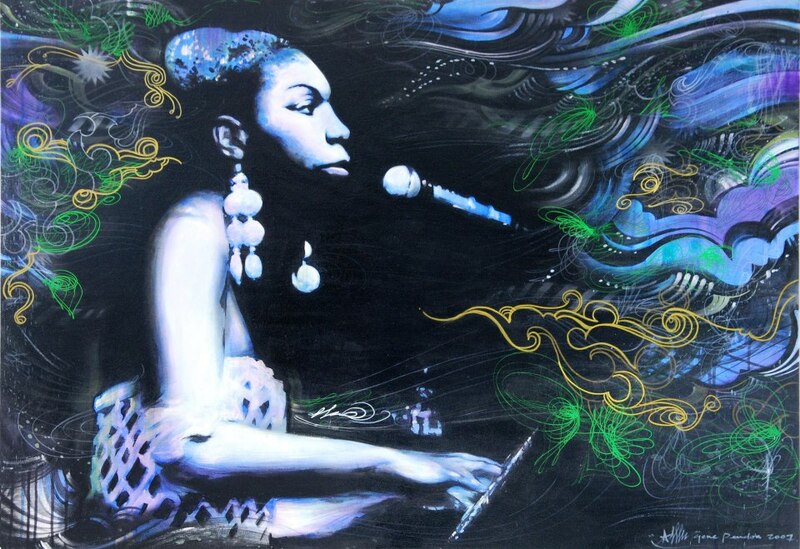 Grand Performances is a free outdoor Summer concert series in Downtown Los Angeles’ California Plaza, 350 S. Grand Ave, Los Angeles, CA 90071. 4th Street / Olive. 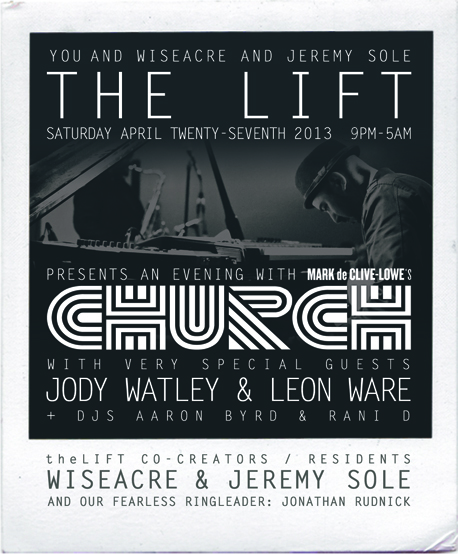 8-10pm. 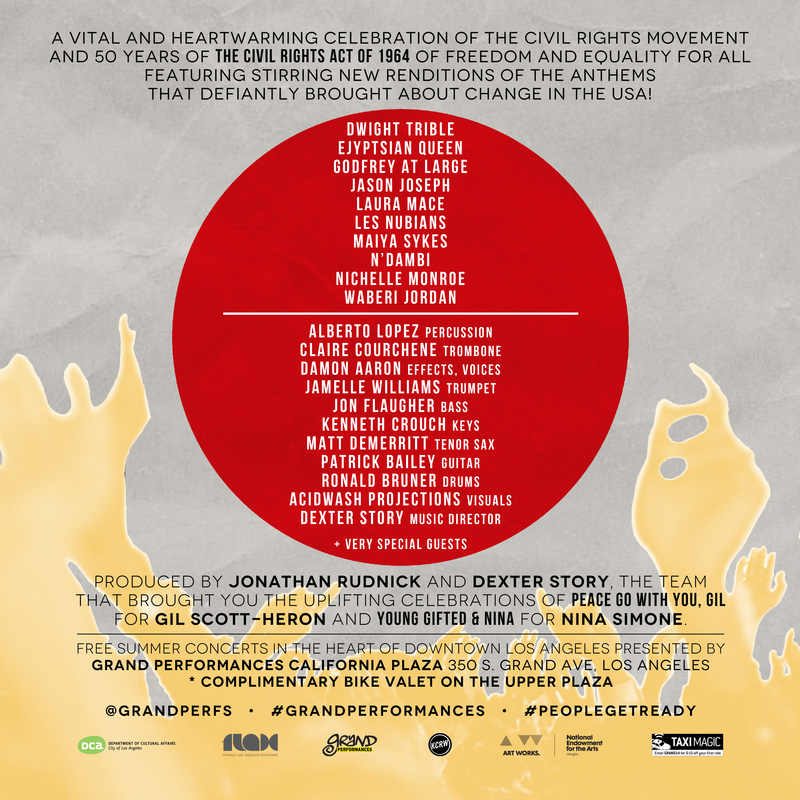 For more information: (213) 687-2190 or http://www.grandperformances.org/en/events/Peace-Go-With-You-Gil.html. More updates and information to come.